Thanks to everybody who helped brief me so quickly and effectively – we are an awesome force already ! Baroness Susan Kramer (Liberal Democrats, House of Lords) is very pro-cycling and says the Department for Transport (DfT) is really searching about to find what will actually deliver real positive change on the ground. However, ministerial responsibility lies with the Parliamentary Under-Secretary Robert Goodwill. Ten minutes into the meeting, she interrupted me to ask Robert to join us but his meeting overran and this did not happen. My deduction from this is that she felt I was talking with a depth of experience on the ground. Lack of real funding nationally for cycling. I said a large increase on a small amount by previous government was still a tiny amount. Lobbied for Dutch levels. But, she also raised the current orthodoxy of devolving decision making on how to spend transport funding. I suggested the solution was the creation of a competitive National Cycling Fund for local councils. I pointed out despite pro cycling policies at national regional and local level – these were very rarely translated into real change in physical environment in real world. Discussed how key decision makers in councils could either block or push forward the cycling agenda locally and the missing skill/willingness repeatedly to do so. As she is brand new to the job, this was her first time hearing about this and she listened. I intend to follow up this with summary description in writing. Asked her to look into the ministerial guidance on left-hand turning/pavement usage as in places like Vauxhall Cross this week the police are ignoring the guidance and enforcing strict letter of the law on cyclists whilst allowing trucks to drive in cycle lanes, this is seriously endangering cyclists lives. By the end of the meeting she had already asked her PA to arrange a meeting between her and Goodwill to convey the thrust of our meeting and I offered to attend a meeting between all three of us if they felt it useful. I have been to meetings where people are stone-walling you and meetings where a decision maker is genuinely listening. Today’s was the latter. 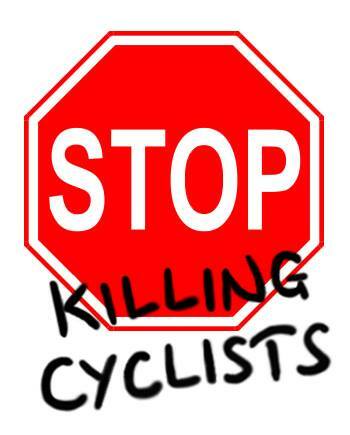 I was so much better prepared for this meeting by the help from you guys in Stop Killing Cyclists than I would have been as an ordinary bloke seeking a meeting with his friend to ask for help on cycling! !